If you’re looking for a homes for sale in Citra FL, you’re at the right place. Our website has every Citra FL home for sale listed on the My Florida Multiple Listing System (MLS). If you’re a buyer looking for a new home, we’ll help you find one that matches both your requirements and your budget. With the wide array of options available to us, we’ll make sure you never miss a listing that matches your criteria. Our first and foremost concern is helping our clients get what they need in the best possible manner. With us on your side, you can rest assured that you’ll not only find a good home, you’ll find it at a good price as well! Call us now, and Let us use our Citra FL Real Estate expertise to make your buying experience as smooth and stress-free as possible. If you’re planning on selling your Citra FL Home, We’re going to use our over 3 decades of experience to help you close the sale better and faster. Our experts are utilizing the latest technology like social media, blogs and online listings to help expose your Citra FL home for sale to the maximum number of buyers. We’re also going to evaluate your property to determine the best price for your home; by doing so, we will eliminate the chance of any surprise revelations by the buyer that may lead to a price cuts. By helping you know everything there is to know about the market value of your home, we will maximize your bargaining power so that you can sell your home for the best price in the least time and move on with your plans. Citra FL is a small town in Marion, County Florida. It comes us the Ocala Metropolitan Statistical Area. The city is renowned for its ‘Pineapple Orange” – An orange that smells quite similar to a pineapple. It falls under the Zip code of 32113. It is located by the busy 4 lane highway south of the orange lake swamp. Citra a small town that embodies the essence of old Florida with some nice stores, old antique churches, and some of the best orange juice in Florida. It is located conveniently close to Ocala giving you the opportunity to have access to big city amenities but enjoy the calm and relaxed atmosphere of a small town. Citra provides a variety of different housing options in different parts of town to suit different budgets. You can everything from a studio apartment to a spacious 4 bedroom home. Many of the houses were also built from 2000-2009 so you can find a lot of newer options in town as well. 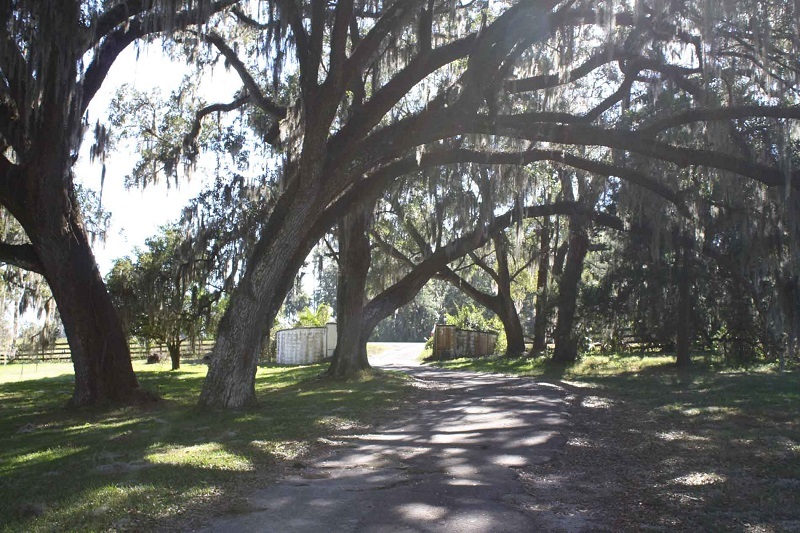 If you love nature and want to live close to the pine woods, look for homes for sale in Citra FL on the eastern side of town. The eastern side of town is surrounded by the beautiful pinewoods adding a touch of majestic natural appeal to the area. If you’re into horses, look for Citra Homes for Sale on the south western side of town which is home to several cattle and horse farms. Farms and mobile homes populate the south eastern part of Citra. If you’re into farming, or you just would like to live close to a farm search for Homes for sale in Citra FL that lie on the South Eastern side of town. You can also find some nice Citra Homes for sale that border the orange lake swamp up north; although you should beware, there will be a lot of mosquitos on the lots in this area. Citra Real Estate for sale offers affordable housing options; the city has a growing economy, the cost of living here is about 11% lower than the national average, and home prices are appreciating year by year. Overall, it’s a good time to invest in Citra. If you like a quite small town lifestyle, but you don’t want to live too far away from a big city. The town of Citra is the place for you. According to the data released in 2014, the population in Citra is 5,170. The population density in the area is 66 people per square mile. The median age of the people living in the city is 49. More than half of the people living in Florida (54.9%) are married, and 11.78% are divorced. The size of an average household in Citra is 2.42 people. About 19.44% married people have children. 10.74% of the population are single parents. Like many other places in Central Florida, Citra FL enjoys a warm and temperate Climate with hot summers and mild winters. The January low in the city is around 46 degrees Fahrenheit, whereas the July high is 92 degrees. Citra gets 52 inches of rainfall annually, and 0 inches of snow per year. The number of days with any measurable precipitation is 102. The average number of days with sunshine in Citra are 226. If you don’t like frosty winters, and love basking in the sun, you’re going to love it In Citra. There are 13 hospitals within the 60 mile radius of Citra including the Ocala Regional Medical Center, Munroe Regional Medical Center, Nature Coast Regional Hospitals and more. These hospitals are equipped with the state of the art modern medical technology, and offer a wide array of medical treatment options. Most of the people in Citra drive their own cars; As It is a small town, mass transit is not available in the city. If someone does not have their own car, they can avail Uber services to get around the city. First Time Home Buyers- Are you a first time home buyer? A first time buyer is anyone who has not owned a home in the last 3 years. Check out these (hyperlink) guides to get started on your journey to find your first home. Citra Foreclosed Homes– Are you looking to buy a big house on a small budget? Check out the Citra Foreclosed homes for sale (hyperlink) listed on our website. Citra Foreclosed homes offer rare opportunities of buying Citra Real Estate below market prices. For more information on Citra Foreclosures, contact us now. New Homes for Sale in Citra FL – Are you looking for pristine, newly constructed Citra home for sale? Contact us now, we’re in touch with the finest builders in town. We’ll help you sort through the various Citra new construction homes for sale and find the one that suits both your requirements and your budget. Call us now for a free consultation. Whether you’re looking to invest in the market, or you’re an individual looking to buy or sell a home, our decades of experience in the field combined with our in-depth market knowledge allows us to guide you intelligently. Our clients lie at the heart of our service and strategy, we strive to help our customers find the right home at the right time at the location they want. Call us now, or drop us an email, Let us know how we can best serve your Citra Real Estate needs.